It was reported that Exeter City apologised to Bridgwater Town after the Grecians’ manager, Eamon Dolan, made an illegal approach to Town striker Graham Cheeseman - on the pitch! When the final whistle went in Bridgwater’s friendly with Plymouth Argyle, Dolan was spotted talking to the player. 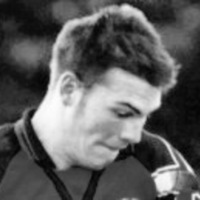 Born in 1977, Cheeseman, who had played for Worle St Johns in season 2001-02, had been Bridgwater’s top scorer with 19 goals the following season. 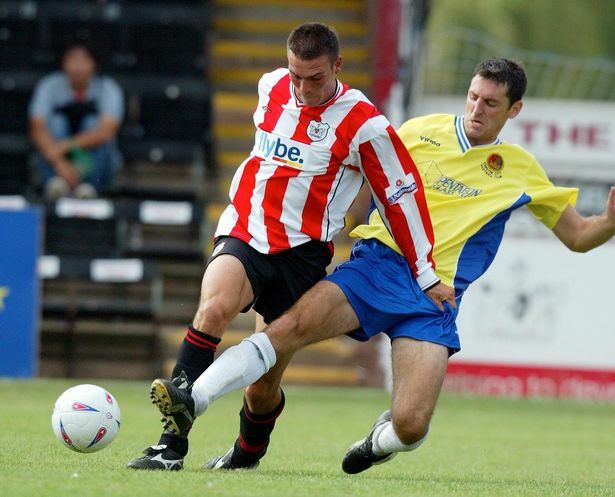 He joined Exeter City as a non-contract player in August 2003 and went straight into the side to make his debut as a substitute in a 2-1 home win over Margate. Although he again appeared as substitute in the following game at Woking, he was then released. The striker immediately linked up with Bath City, making a single substitute appearance in the 7-0 defeat at Worcester City. By the following month he had returned to play for Bridgwater Town, leaving them in 2005-06 to join Clevedon United. He was forced into retirement in October 2016 after sustaining a broken tibula and fibula while playing for Wrington Redhill at Staplegrove in the Premier Division of the Somerset County League.